Pictured striking a pose are Ox Ridge second graders Rafe Van Wagenen, Samantha Lockyer and Mia Cappelli. 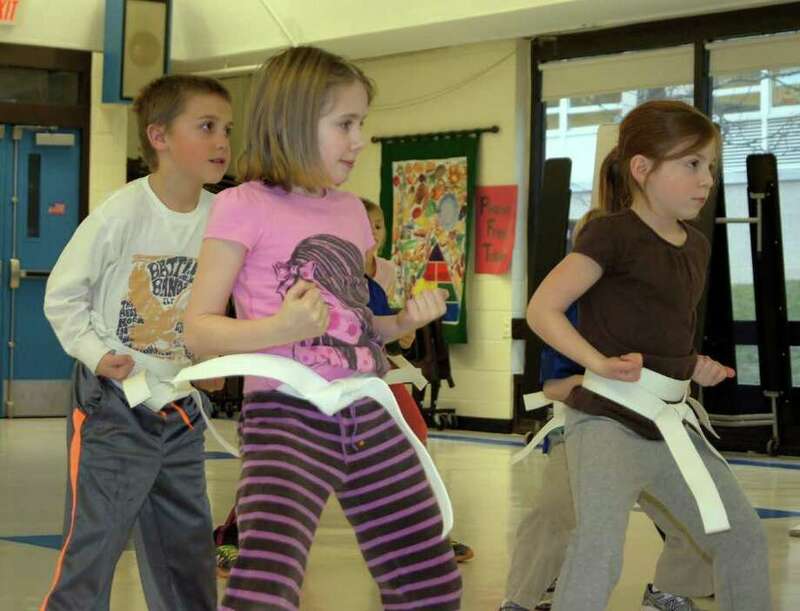 Karate is a new after-school program offered at Ox Ridge School. Kempo Academy of Martial Arts is instructing the children in grades K-5 how to punch, kick and block in a fun yet controlled environment. Kempo Academy incorporates character building philosophies with traditional martial arts training methods with a particular emphasis on discipline, self control and respect for others. Students have the option to test for belt advancement at the Kempo Academy studio in Darien at the conclusion of the program for an additional fee.